Cyborg3D SubD2CAD brings the powerful SubD to CAD conversion tools to the rest of the Sub-D design community. 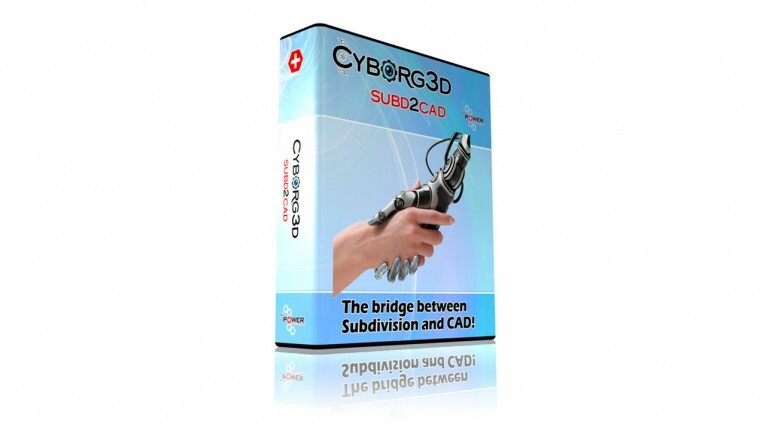 SubD2CAD is a standalone product that can be used to convert existing subdivision surface models into NURBS boundary representations (Breps) which may be exported to standard formats readable by all CAD systems. Makes organic shapes quick and easy and also enable easy import of polygonal models from e.g. TurboSquid.com or ZBrush sculpts into CAD software packages. 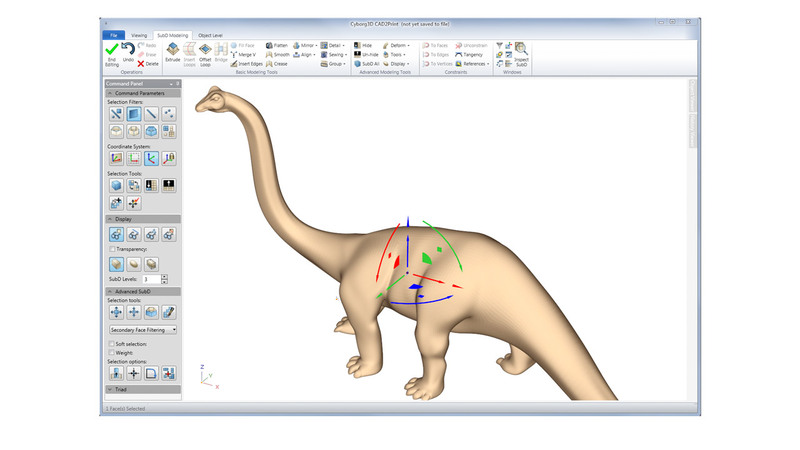 1) Import, modify and convert a "Catmull-Clark" subdivision surface (from SubD design programs, or from a model repository like Turbosquid.com) to a CAD format. See a TurboSquid workflow video here. 2) Import and convert high resolution (up to 6 million polygons) sculpted quadralateral meshes from ZBrush or other sculpting packages. See the ZBrush Workflow video here. 3) Import, repair, shrink wrap with a quadrilateral mesh and convert high density triangular scanned meshes. 4) Design SubD models directly inside of SubD2CAD and then convert to a CAD format. See a SubD Design workflow video here.